Healthy, delicious food and juices (as well as the occasional chocolate) is a key part of life. Nourish yourself from the inside out at one of our cafes. Nourish yourself from the inside out at triyoga, where at each centre you can enjoy a menu of brilliant fresh juices and smoothies, raw bites and wholesome meals, fair trade coffees and teas, as well as scrumptious cakes and cookies. Pre-order food and drinks before class, take your time to eat in the tranquil café areas or order your food to go. Each menu caters for all tastes and diets, so there’s something for everyone; vegetarian, vegan, raw-food, gluten-free or simply ravenous. Set up by Katia Narain Phillips, a pioneer of the raw food movement, Nectar café offers a nutrient-rich and delicious menu including plant-rich foods, aromatic waters, resins, herbal extracts and bio-dynamically grown ingredients. Breakfast includes organic raw oat and chia seed porridge sprinkled with rose, lime and toasted almonds. For lunch and dinner there is a variety of fresh (and filling!) 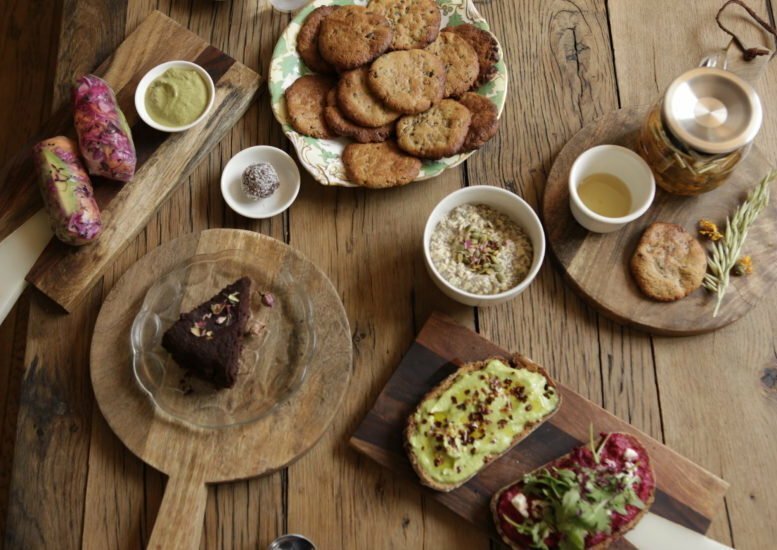 salads and wraps to eat in or take away, and for your afternoon tea enjoy avocado fudge cookies – a favourite post yoga treat. CPress have been growing and serving their nutritious repertoire of juices, coffee, snacks and salads across London since 2014 – and we’re excited to have them at three of our centres! Use their special menus to create your own made-to-order porridge and salad bowls, and savour coffees crafted with hand-selected beans and homemade nut milks. Need to recharge after class? 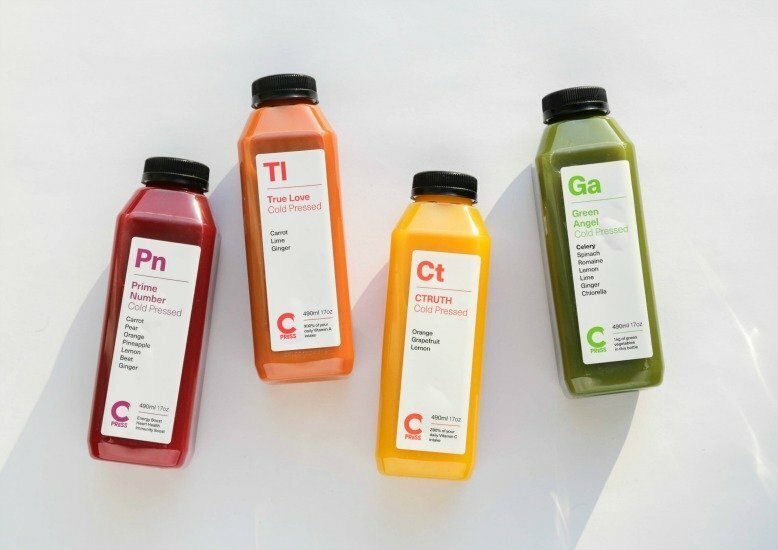 Grab one of their innovative cold-pressed juices to go (we love the black lemonade). CPress juice, bake, blend and grind daily to ensure fresh hand-prepared food bursting with goodness. They work exclusively with organic produce and promote real, nutritious food that’s exciting and makes you feel good. Mira Manek combines her love of healthy eating and Indian flavours to create her own style of vibrant Indian-inspired food. Her first cookbook Saffron Soul was published last year, a collection of modern and traditional vegetarian recipes rooted in her Gujarati heritage interspersed with family stories. Having travelled extensively through India, Mira realised just how authentic her own home cooked Gujarati food was and came back to learn all those precious recipes. She champions eating well and eating wholesome home-cooked food that doesn’t compromise on flavour, using the spice box creatively and not just confining it to curries and daals.